POAAL is the industry association for LPO owners, Mail & Parcel Contractors, and Community Mail/Postal Agents. 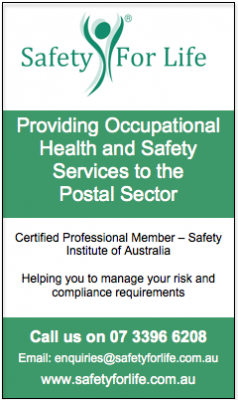 The Post Office Agents Association Limited (POAAL) is the independent industry organisation that has a strong and long term commitment to look after the business interests of the owner/operators of Licensed Post Offices, Community Postal Agents (CPAs) Community Mail Agents (CMAs) and Australia Post Mail Contractors. There are almost 3000 Licensed Post Offices (LPOs) in Australia, and they form almost 80% of the retail post office network. Each is privately owned and over half of them are situated in country areas. There are 640 CPAs and 135 CMAs in Australia, usually in sparsely-populated areas. There are over 3000 individual Mail & Parcel Contractors across Australia, operating over 5000 mail contracts in city, regional, rural and remote areas. Many MessengerPost couriers are also operated by contractors. 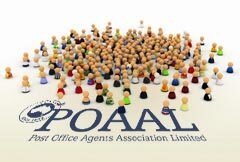 POAAL was formed in 1939, when owner/operators of post offices recognised that they needed the protection, support and collective strength of an association to effectively look after their needs, especially those who operate small or remotely located post offices. Many LPOs are operated in conjunction with another business: eg, general store, and all would now sell at least some products other than postal. POAAL has six State Branches, each with a State Chairman and Committee. Committee members come from all parts of each State, and work in a voluntary capacity, bringing experience, dedication and loyalty to their work of assisting their colleagues. Each State Chairman is a member of the National Board, forming a conduit between Branch activities and information and the Board. POAAL also frequently briefs Ministers, Shadow Ministers, Government Departments, the ACCC, and others. POAAL regularly makes submissions to Government inquiries and is constantly alert to new opportunities as well as to changes which may impact on the business interests of its members. The Post Office Agents Association Limited is a company limited by guarantee. POAAL’s National Office is located in Melbourne. All administrative and membership matters are handled by the friendly and helpful staff at the National Office. All correspondence and general enquiries should be directed to the National Office.